Wind Turbine Flushing is a process used in many types of industrial equipment to prevent faults related to the oil system. 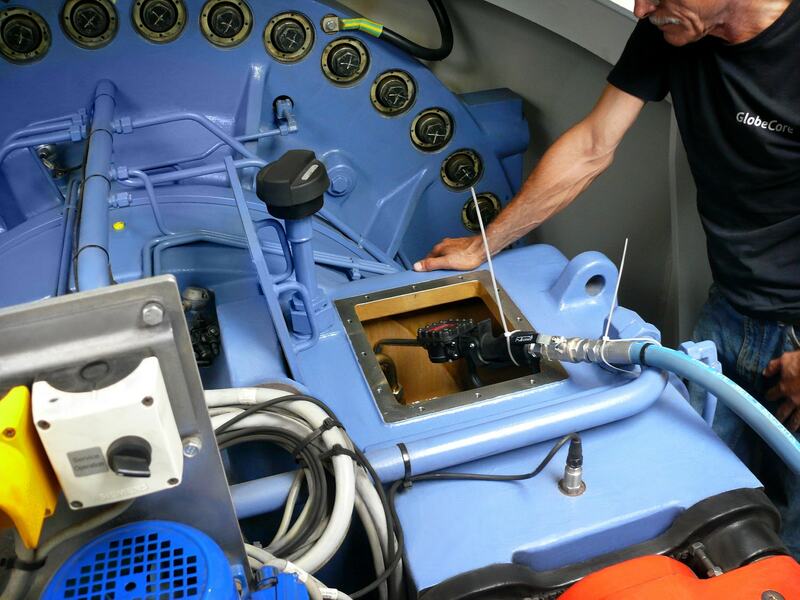 This article deals with oil flushing of hydraulic systems and wind turbine gearboxes. When oil filled equipment is operated, several processes influence the quality of oil. These are oxidation of the oil by atmospheric oxygen, contamination wth solid particles (dust, sand, metal and rubber particles), high temperature etc. The oil starts to ‘age’, i.e. lose its quality. Aging products form in the oil. By simply changing the oil, it is impossible to remove all the contaminants from the system. Some of these remain on the walls of the pipes etc until the system is filled with new oil. These same contaminants are distributed in the oil oil and cause accelerated oil degradation. In other words, in this case the oil deteriorates faster than it would if it was put into a clean system. Soon the oil will have to be changed again, and the reliability of the entire system will keep decreasing. The optimal solution is flushing the system with a special oil. Note that oil flushing is required not only during operation, but also before commissioning the equipment. In the process of manufacturing, storing and transporting the machinery, dust or sand may enter the system. They can be easily removed by oil flushing, after which new oil can be put into the system. The old rule holds: it is better to prevent a problem early than to face its consequences later. Such preventive flushing costs about five times less than a complete oil purification, which leaves much of the contaminants in the system anyway. Regular oil and flushing oil have different function. The former is intended for lubrication and cooling, while the latter is supposed to remove contaminants in the system after draining old oil. This means that the quality and performance requirements to the two types of oil are somewhat different. So, what makes good flushing oil? First of all, good cleaning performance, i.e. the ability to hold suspended contaminants without sedimentation. Flushing oils must also be equally effective at high and low temperatures. Another requirement is due to the contact of the oil with seals in the equipment: the oil must not damage the seals to avoid leaks in the system. Flushing oil must be stable to oxidation and absorb moisture well. The last requirement is compatibility with all the other oil types used in the equipment. Wind Turbine Oil flushing is not the only methods of cleaning internal surfaces of industrial equipment. There are other techniques: mechanical, physical, chemical and hydrodynamic. Not all fit equally well for each specific case, but it is important to know about them. For highly contaminated and low-duty parts, mechanical cleaning of the surface is a common solution. The only drawback is that such treatment may remove a layer of metal and leave scratches or dents. The part may lose its strength and disintegrate under load. Physical and chemical methods involve special detergents and solvents. Parts can be cleaned by submerging them into chemical solutions, stream cleaning or processing with detergent vapor. Submerged cleaning is commonly used for removable parts, which can be placed in a sink with heated detergent. This can be used as a standalone method or as a preliminary treatment before a more comprehensive process. Stream cleaning works well for piping of hydraulic systems. A strong detergent is used only in the initial stage of the process. 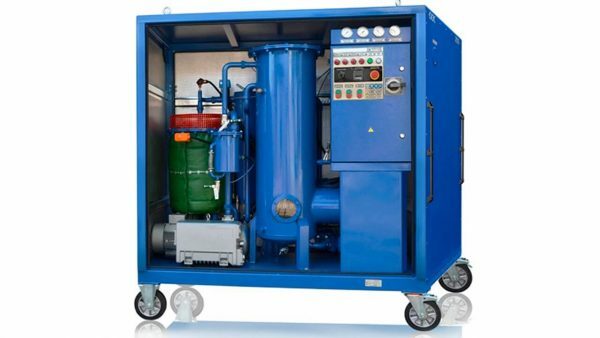 It is recommended to wash away the contaminants with hydraulic fuel in the process of operation. Hydrodynamic methods are used when the contaminants are strongly attached to the surface, in the final stages of system cleaning. To maximize process efficiency, the stream of liquid must move at least 1.5-2 times faster than the normal flow. cleaning of the wind turbine, including main gearbox oil flushing. As noted above, oil flushing removes contaminants left over in the system after draining old oil. In the case of a wind turbine, flushing also removes any remaining old oil and additives. Wind farm locations are in many cases quite remote; using reliable and multi-function servicing equipment is. It is better to use one machine that covers several service operations at a time, than transport several units from one wind farm to another. Draining old oil from wind turbine gearboxes. Filling the gearbox with new oil. 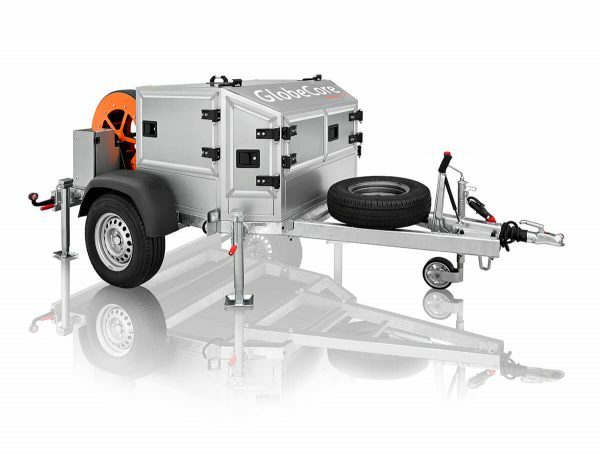 The CMM-G is installed on a trailer. 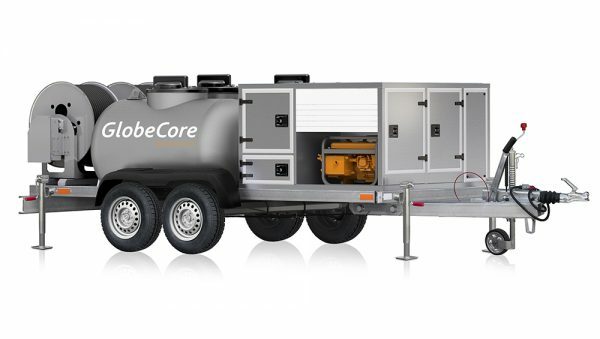 The unit consists of tanks for old and new oil, hose reels, pumps, a control panel, a generator for operation independent of ground power etc. Such design allows to rapidly transport the unit from one wind turbine to another and from one wind farm to the next. Old oil is pumped out of the gearbox by a vacuum pump. The oil is stored in the unit’s used oil tank. Wind Turbine Oil Flushing can be performed at heights up to 105 meters. In this mode of operation, oil is pumped into the gearbox under pressure, removing contaminants and any remaining old oil. The СММ-G can also heat and filter fresh oil before pumping it into the gearbox. The heating allows the unit to be operated with equal efficiency in cold weather, while filtration protects the system from contaminants which may have been accumulated in the oil during storage and transportation. Another convenience of the unit is the capability to pump oil into a gearbox and, at the same time, to heat the next portion of oil for the next gearbox. Clean oil is also delivered to the gearbox by a pump. This also is filtered before pumping.